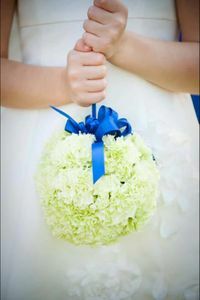 If you are having little ones in your wedding you will need to make sure the ring bearer has a little boutonniere and you will need something for your flower girl. 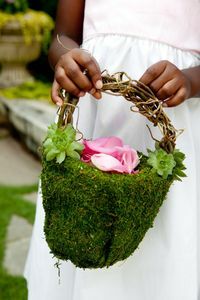 Whether it is the traditional basket of petals or a more modern option, the little girl in your wedding will love something special just for her! 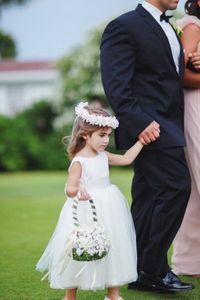 Other options include a ball of flowers, a floral garland (works best if you have 2 flower girls), and a crown of flowers for her head. 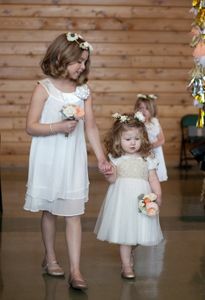 She could also carry a smaller version of your bridesmaid bouquets.